Hello Friends, I know that most of the tech guys today keening for a high download and browsing speed. In today's world of speed and technology everyone wants a high speed connection so he/she can finish his/her work more efficiently or can enjoy surfing and downloading more faster. The speed of your internet connection depends on type of connection you are using. For example, Broadband users have usually more speed than dial up users. The other fact about the speed are bandwidth, no. of users etc. Although it is too hard to increase actual transfer rate of your connection's speed as that is controlled by hardware and your ISP like BSNL, Airtel etc. But all we can do is better utilize the speed that we have. Thus we can efficiently use the allocated bandwidth or speed that we have. So here , i am going to tell you a method to increase your browsing speed that is page load time. By using this trick, your web surfing speed will be fast. But your downloading will be as is (Sorry). Here, we are going to use Google's fast DNS Server to find respective IP addresses of websites instead using DNS of your ISP. The fact is that due to large number of requests, the default DNS server of your ISP can't respond sometimes. In such conditions , this trick helps us. The steps or method given below is for WIndows 7 users, other operating system users have to find similar options and fill same values of DNS server IPs. In this trick we are using Google DNS server. You can also use Open DNS server. Please refer to the following guide if you want to use open DNS server. The respond time of both servers may differ according to your location. So try any one of them and use which works best. Go to Start Menu. Click on Control Panel. 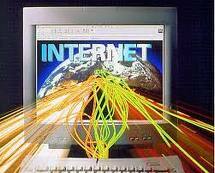 Click on Network and Internet. Click on Network and Sharing Center. On the left top side, click on Change Adapter Settings. Click on the connection name that you are using. If you are using a broadband connection then your connection name be 'Local Area Connection'. Right click on your connection name, click on Properties. Restart your computer and browse the web faster.